The Somers Ranch vineyard lies just a mile or so into the Dry Creek Valley. The fruit for this wine comes from adjacent hillside parcels with western facing sun exposure. This blend of 70% Corvina Veronese, 25% Rondinella and 5% Sangiovese is a smooth, full-bodied cru made in an innovative ripasso style. After the harvest, the grapes from the Palazzo della Torre vineyard follow two different paths: 70% of the grapes picked are vinified immediately, and the remaining 30% are left to dry until the end of December. The fresh wine made at harvest is blended with the fermenting juice of the dried grapes, initiating a second fermentation, and rendering a more highly concentrated and complex wine. Allegrini affectionately refers to Palazzo della Torre as their "baby Amarone." Deep ruby-red in color, this wine is brimming with notes of dark, dried cherries, blackberries and hints of dates and mocha. Pairs well with full-flavored pasta and risotto dishes, roast poultry and chorizo. Also excellent with hard and semi-hard cheeses. Sanctuary Zebra Plains, the new luxury walking safari camp in the South Luangwa, is opening on 1 June 2011. Guests can now enjoy an exclusive bush adventure by foot, without forsaking personalised service or comfort. In order to fully explore the South Luangwa, guests will spend three nights at Sanctuary Zebra Plains with set departures on Monday or Thursday. We suggest combining a walking safari with a stay at Sanctuary Puku Ridge Camp or Sanctuary Chichele Presidential Lodge, also in the park. These permanent properties offer morning and evening game drives, the perfect complement to Sanctuary Zebra Plains. New York’s iconic ‘21’ Club is offering a romantic and sumptuous feast in honor of Valentine’s Day, on Monday, February 14. 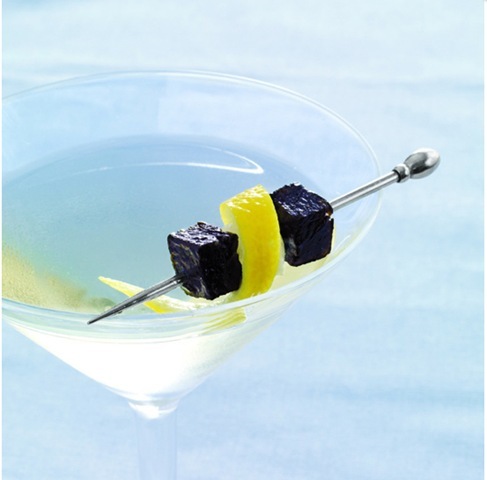 Indulge in a three-course gourmet meal for $125, featuring all of the ’21’ favorites – plus an amuse bouche, petit fours and a glass of Veuve Clicquot Champagne. Patrons will also have at their disposal ‘21’s Grand Award-winning wine list, which features 125 selections under $60. You’ll fall in love all over again, dining in ‘21’s intimate “restaurant within a restaurant,” Upstairs at ’21.’ Located one flight up from ‘21’ Club’s famous Bar Room and Cocktail Lounge, Upstairs at ‘21’ is a 32-seat oasis – and one of the most romantic hideaways in town. Please call 212-582-7200 for reservations. Producers Leonard Soloway, Chase Mishkin, Terry Schnuck, Ann Cady Scott, Timothy J. Hampton, James & Catherine Berges, The Shubert Organization and The Repertory Theatre of St. Louis announce two-time Golden Globe® winner, Academy Award® & Tony Award® nominee Kathleen Turner will return to Broadway this spring in Matthew Lombardo’s new play HIGH, directed by Rob Ruggiero. 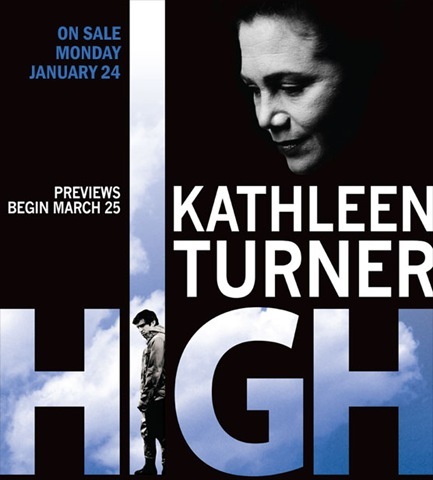 HIGH will begin previews on Friday, March 25 and open officially on Tuesday, April 19, 2011 at the Booth Theatre (222 West 45th Street). The cast includes Kathleen Turner as “Sister Jamison Connelly”, Tony Award® nominee Stephen Kunken (Enron) as “Father Michael Delpapp” and Evan Jonigkeit making his Broadway debut as “Cody Randall”. The design team for HIGH includes Tony Award® winners David Gallo (Sets) & Jess Goldstein (Costumes), John Lasiter (Lights) and Vincent Olivieri (Sound & Original Compositions). Kathleen Turner returns to Broadway following her Tony® nominated performance as “Martha” in the 2005 Tony Award® winning revival of Who’s Afraid of Virginia Woolf? This Broadway premiere follows a noteworthy collaboration of three American regional theaters. 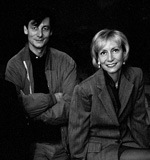 In July 2010, the play premiered at TheaterWorks in Hartford, Connecticut, followed by the Cincinnati Playhouse in the Park in September 2010 and The Repertory Theatre of St. Louis in October 2010. Tickets will be available beginning Monday, January 24 online at Telecharge.com or by phone at (212)239-6200. The Booth Theatre Box Office (222 W. 45th St) will open on Friday, March 4th. Ticket prices range from $61.50-$111.50 with a special preview price of $61.50-$91.50 for performances March 25-April 18. When it comes to condiments, mayonnaise often gets the short end of the stick. Unlike mustard, whose seemingly endless varieties take up a majority of shelf space, mayonnaise is largely seen as “plain boring,” “old-school” and un-evolved. But a quick peek into the kitchens of top restaurants and culinary schools would prove otherwise: emulsions like mayonnaise are among the most important skills chefs can learn, and mayos and aiolis are the hallmark touch of many a winning restaurant dish. That’s why Santa Fe Gourmet® (est. 2008) is bringing a revolution in mayo to the store shelves—and home kitchens—with a line of Chipotle Mayonnaise that’s bound to add pop and pizzazz to any cook’s repertoire. 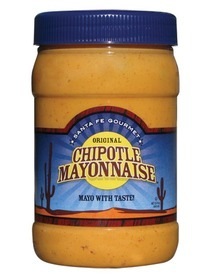 Needless to say, this may be the biggest thing to happen to mayo since Hellman’s began production over 100 years ago. Santa Fe Gourmet’s Original Chipotle Mayonnaise is a sophisticated spread developed by a classically trained, NYC-based chef, inspired by the very flavors made popular in restaurant kitchens across the country. Its smoky, creamy, bold flavors are a direct result of the high-quality ingredients in the jar: roasted chipotle puree, shallots, red bell peppers, garlic and paprika. The freshness comes across in deep flavor, providing an alternative spread that has not been available on supermarket shelves until this point. And because Santa Fe Gourmet is the first company to devote itself exclusively to chipotle mayo, the quality is unrivaled as a whole. Santa Fe Gourmet’s Original Chipotle Mayonnaise is available in both regular and light versions, the latter of which made its debut at the NASFT Fancy Food Show this past June. A benefit of the product, says founder Pat Canavan, is that less product is needed to yield big flavor in any dish, reducing the overall fat and calories consumed in a serving. Both products are manufactured by Ken’s Foods, Inc., a family-owned, leading manufacturer of salad dressings and sauces. For centuries humans have used the power of aphrodisiacs to increases lust, desire and spice up their love life. The word comes from Aphrodite, the Greek goddess of sexuality and love. This Valentine’s Day become your own Aphrodite or Adonis with these aphrodisiacal food and wine pairings. Cayenne Pepper- Dark Chocolate Brownies. Cayenne pepper gets its name from the city of Cayenne in French Guiana. Cayenne has been used for centuries not only for a variety of therapeutic purposes but also to boost the libido, particularly among men. · Wine Paring: Renacer ENAMORE ($25). This blend of Malbec, Syrah, Bonarda and Cabernet Franc, dried and vinified in the Amarone style (hence the anagram ENAMORE! ), offers supple aromas of ripe berries and plums with underlying notes of exotic spices and mocha, its silky mouthfeel and richness strike a great match with the spicy chocolate brownies. Chocolate clove cookies: Cloves are one of the most powerful natural aphrodisiacs for both men and women. Contains eugenol; its smell is fragrant and aromatic, and has long been considered a method for enhancing feelings of desire. · Wine Pairing: Allegrini Palazzo della Torre ($20). Deep ruby-red in color, this wine is brimming with notes of dark, dried cherries and blackberries, along with hints of fig and mocha which blend seamlessly with the sweet spice of the cookies. Fresh Basil Pesto. For centuries, people said that basil stimulated the libido and boosted fertility. The scent of basil was said to drive men wild — so much so that women would dust their bodies with dried and powdered basil. · Wine pairing: Tilia Torrontes ($10). This crisp white with notes of jasmine, lemon-citrus and apricot makes a harmonious companion to the flavorful, fresh basil toast. Fish Fillets with Lemon and Coriander Seed. The Chinese used the coriander in love potions believing it provided immortality. The seed was known to have an euphoric effect, especially for women. · Wine Pairing: Mastroberardino Fiano di Avellino ($22). The intriguing ancient wine manages to be both light and flavorful at the same time: Its layered profile, with delicate notes of hazelnut, pear and minerality, is perfect for this love-inspiring recipe. Arugula Salad: Arugula or rocket as the saucy Brits call it, was a popular aphrodisiac among the ancient Romans and ancient Egyptians. It was quite often associated with Priapus, a minor Roman god of fertility. 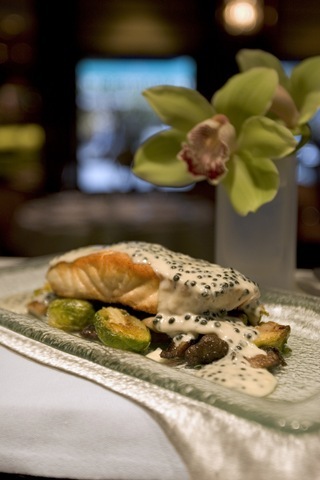 · Wine Pairing: Yealands Sauvignon Blanc ($12). Lots of expressiveness is the key to this pairing. This classic wine boasts rich flavors of zesty citrus, nettle and ripe white peaches which can really hold its own against that peppery, flavorful ‘bite’ of the arugula. Wine pairing: Leyda Pinot Noir ($13). Leyda Pinot Noir is brimming with notes of plum, black cherries and savory smokiness. On the lighter side of red wine spectrum, with mild, silky tannins, this Pinot Noir makes an easy match with the rich, buttery profile of the saffron pilaf. Wine: The consumption of wine is one of the most ancient forms of libido stimulation and is still one of the most widely used aphrodisiacs worldwide!